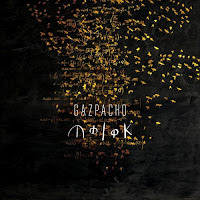 Originally appearing back in 1996 the Norwegian band, Gazpacho, has gone from strength to strength and has now released studio album no 9, Molok. The debut album, Bravo, appeared in 2003 and the band has released an album every 1-2 years since, so have maintained a steady output of excellent material. Molok follows on fairly quickly from the critically acclaimed, Demon, from 2014, and takes the band another step up on the progressive ladder. The band line-up has been amazingly consistent since the original core members of Jan Henrik Orme (vocals), Jon-Arne Vilbo (guitars) and Thomas Anderson (keyboards and programming) started out and then added Michael Kromer in 2001 (violin and mandolin), Kristian Torp in 2005 (bass) and Lars Erik Asp in 2010 (drums). 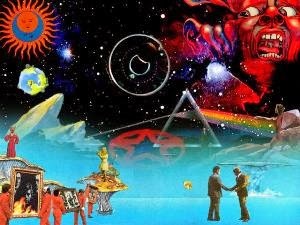 This line-up has been present on the last four studio albums. Molok has been described by Thomas Anderson as “Molok is about a man somewhere around 1920 that decides wherever anyone worships a god, they always seem to be worshipping stone in one form or another. Whether a grand cathedral, the stone in Mecca or even Stonehenge, god seems to have been chased by his worshippers into stone, never to return. This harkens back to Norwegian folk myths, where if a troll was exposed to sunlight, it would turn to stone, but also reflects the way god has been incommunicado for a very long time.” This sounds like very profound material, so what does the album actually sound like? Molok is a 9 track release (on CD, but 8 tracks on vinyl) with a total running time of around 45 minutes (44:37). 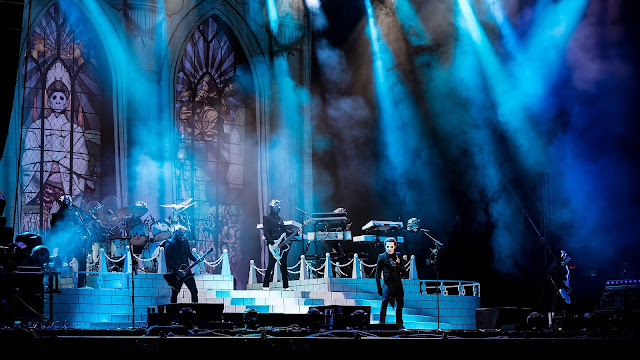 The final track, “Molok Rising,” is the longest track on offer at just less than 10 minutes (9:38) in length with track no 3, “Beta Kiss,” the shortest on the album at 2:45 minutes. The opening track on Molok is “Park Bench” (6:44) which begins with a drum beat setting the scene. Jan Henrik Ormes’ voice enters, instantly recognizable to all Gazpacho followers. There is the characteristic minimalist instrumentation behind the voice with a piano motif, keyboard theme and then the violin makes an entrance. The atmosphere produced on this opening track is nothing short of majestic. As the voice builds and retreats, the background shifts almost imperceptibly, but the sheer power that seems held back by invisible forces constantly threatens to be unleashed. The amazing ability of the band to generate such controlled atmospherics has to be admired. The band then work as a tight unit to take the track out. “The Masters Voice” (4:08) picks up the atmospherics from the word go. The plaintive voice is backed by a gentle electric guitar and a choir which leads into a stunning section led by the bass and drums, with the piano generating more of the simple, but fascinating, themes. This is a slow building track which moves along with the voice, more of the electric guitar and a little more intensity to the music, when without warning it drops away to almost silence before re-entering and building, before ultimately, exiting. Track 3 is a very different style of track. “Bela Kiss” (2:45) is an up-tempo folky toe-tapper which also has Stian Carstensen on accordion. This is a short track which highlights the folk charm which is never too far away from the surface on any Gazpacho release. Back to the atmospherics with the next track up, “Know Your Time” (6:07) which starts with a longer introduction of bass, drums and keyboards as it slowly builds to the entrance of the vocals, almost 1:30 minutes into the track. The vocals are crystal clear and there is a little more of the gentle electric guitar carrying the music along. Around the 2:30 minute point you become aware of the presence of the piano theme in the background as the music flows effortlessly along. A deeper, darker section starts up around the 3:40 minute mark which allows more guitar and piano to come to the fore. The track is escorted out by some stunning violin playing by Michael. There is a piano start to “Choir of Ancestors” (4:44) before being joined by Jan Henrik and the rhythm unit of bass and drum move the track along. 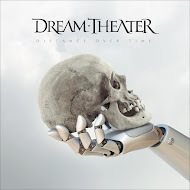 A “distant” voice appears around the 1:30 minute mark and this is followed by a choir, which builds behind the lead voice, with the drums appearing impatient to be moving quicker. This all leads to a guitar led “wall of noise,” but for Gazpacho that is a fairly subdued level. This track is another example of how to generate atmosphere within a short piece of music. 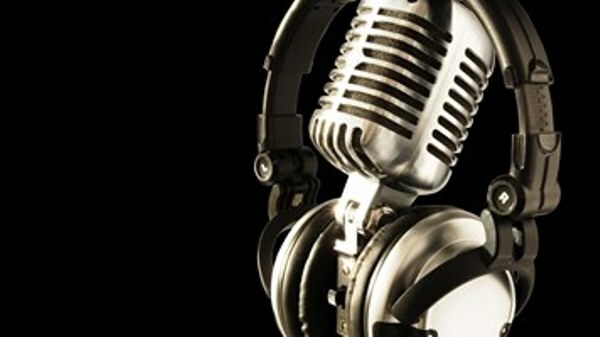 The track ends with the sound dropping away and a little more of the “distant” voice. Next up is a trio of shorter tracks, all within the 3-4 minute timescale. First up is “ABC” (3:26) which is a very melodic up-tempo track and this is followed by “Algorithm” (3:10) with an almost jazzy styled feel to it initially before it settles into a shorter slice of atmospherics, with some vocalization, but no words. The last of the trio, “Alarm” (3:54) is another up-tempo chunk of music highlighting piano and keyboards with superb vocals from Jan Henrik. Piano themes abound both in the background and leading the piece as the track progresses. The final, and longest, track on Molok, “Molok Rising” (9:38) is the albums’ tour de force. The introduction of the track is very simple but generates a majestic atmosphere as the track builds with, seemingly, the minimum of effort. This track highlights the fantastic ability the band possesses enabling them to paint amazing aural landscapes without losing the minimalistic feel to the music. Piano, keyboards, guitar, mandolin, bass, drums and violin interact so perfectly and seamlessly. Molok is a stunning album and easily achieves the maximum star rating that its’ predecessor, Demon, garnered. This is a superb example of the stunning atmospheric music that can be produced by 6 musicians who are acutely sympathetic to each other. Do not expect shredding guitars, thundering drums and blistering vocals on a Gazpacho album, as the band have everything down to a fine art and generate something very special each and every time they enter the recording studios. 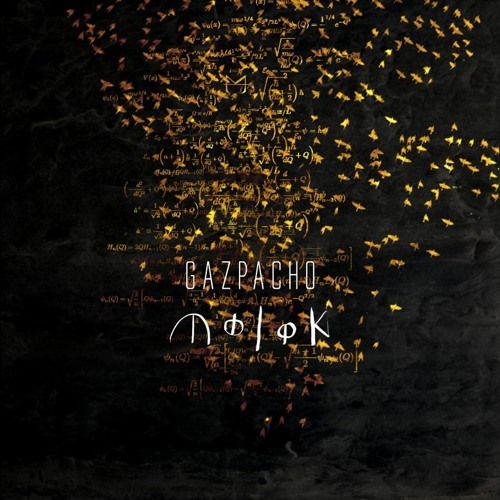 This is an album that further cements Gazpacho as a unique band in modern progressive music. My advice is made very simple by Molok, and that is, get out there and buy it. There have been a few albums that I have given the accolade, “one of the best releases in 2015” to, and Molok can now be added to that list.